Anny Morel wurde am 17. April 1946 in Montbéliard im Departement Doubs geboren. Sie entstammt einer lutheranischen Pastorenfamilie, die seit dem 17. Jahrhundert in Montbéliard nachweisbar ist. Mit 17 Jahren erhielt Anny Morel ihr Maturitätszeugnis (Abitur) vom Gymnasium in Auxerre. Zwar fühlte sie sich zur Kunst berufen, wählte aber (wohl auch unter sanftem Druck der Eltern) als Brotstudium die Pharmazie. Sie erhielt ihr Diplom als Pharmazeutin 1969 und war von 1976 bis 1991 Inhaberin einer Apotheke im Raum Belfort. Seit 1983 befaßte sich Anny Morel neben der Pharmazie intensiv mit Kunststudien. Sie veranstaltete mehrere Einzel und Sammelausstellungen, zunächst im näheren Umfeld, seit der Jahrtausendwende auch vermehrt international. So nahm sie teil an der “XIé biennale peintres et sculpteurs de la danse” in Luxembourg 2002 und an der Ausstellung der “Stiftung Horizonte” in Hannover 2004. Seit 1991 widmet Anny Morel sich ausschließlich der Malerei. Anny Morel was born on April 17th, 1946 at Montbéliard in the department of Doubs. She is a descendant of a lutherian parsons family, the family beeing verified in Montbéliard since the 17th Century. When she was 17 years old Anny Morel received her university entrance certificate (baccalaureate) from her High school in Auxerre. Although she felt a calling to art, she chose pharmacy as her bread study (probably under gentle pressure from the parents). She received her diploma as a pharmacist in 1969 and worked as the proprietor of a pharmacy from 1976 to 1991 in the area of Belfort. 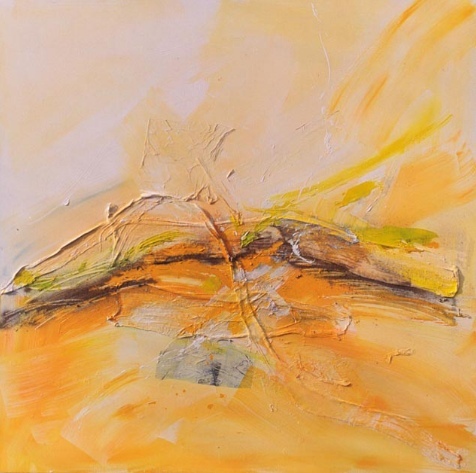 Since 1983 Anny Morel dealt intensively with art studies. She showed her pictures at several individual and collective exhibitions, initially in her immediate environment, since the turn of the millennium increasingly often at international exhibitions. She participated in the “XIé biennale peintres et sculpteurs de la danse” in 2002 in Luxembourg as well as at the exhibition “Stiftung Horizonte” at Hannover in 2004. 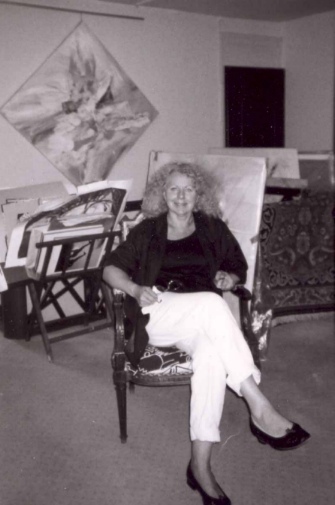 Since 1991, Anny Morel devoted herself exclusively to painting.